A 15th Century ruin is in line for a £100,000 makeover. 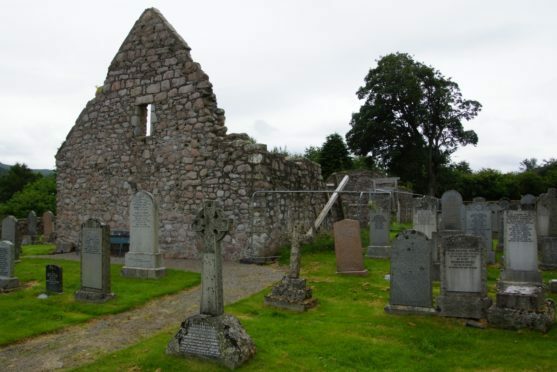 Aberdeenshire Council has launched a hunt for a contractor to repair Tullich Kirk, near Ballater. The building, along with the circular churchyard and symbol stone collection, is a scheduled monument. During the winter of 2013/14 the condition of the kirk deteriorated significantly, with bulges in two walls becoming much more pronounced, and parts of another falling to the ground. A structural engineer was appointed by the council to carry out an emergency survey of the kirk, who immediately recommended fencing off the ruin to protect the public, and the installation of timber bracing and clamping to support the areas of bulging stonework and prevent further collapse. LDN Architects delivered a report in January 2017, and the green light has now been given for work to begin in early July, with it hoped to be completed by the end of October. The work will be covered by Leader funding, a European Union initiative to support rural development projects initiated at the local level in order to revitalise rural areas and create jobs. Tullich is known as the birthplace of St Nathalan, and is the site of some noted Pictish stones. Janelle Clark, area manager for Marr, said: “The project to repair Tullich church and create a purpose-built shelter to house the carved symbol stones was agreed by the Marr Area Committee at the end of 2016.